1. Firstly, tell us a bit about your role. What are your main responsibilities as Chief Art Consultant and Gallery Director? It is my duty to spearhead the gallery’s programmes. “Discover | Develop | Delight” is our motto, which means exploring and identifying undiscovered and underrated talent to uncover new heroes. For example, showcasing Samantha Lo (the Singaporean artist also known as Sticker Lady) in her first photographic exhibition for Singapore Art Week and at Melbourne Arts Festival in 2017. 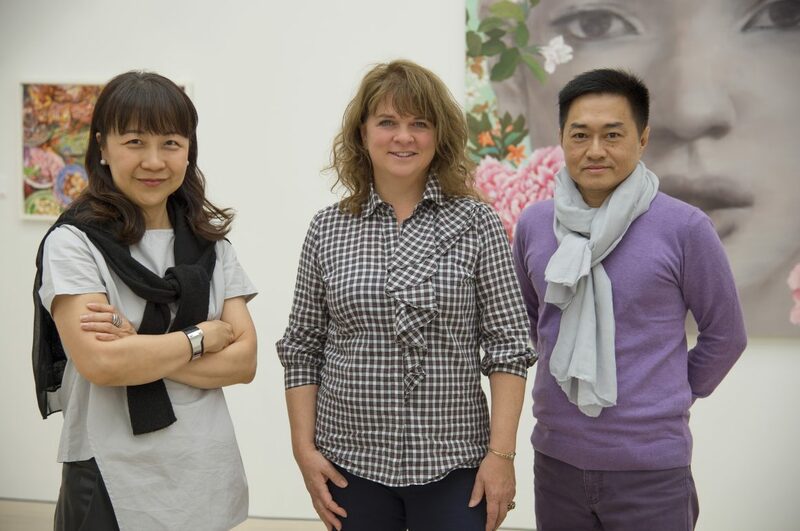 We have also rediscovered star artists, making them “born again” to engage with new audiences, introducing both Chang Fee Ming, a renowned Malaysian water colourist and Singapore’s contemporary rising star, Jane Lee’s portfolios to our London audience in 2015. 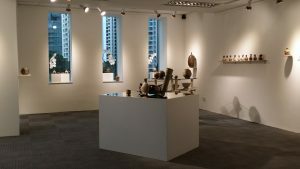 We also gave Alvin Tan Teck Heng, a well established, award winning Singaporean ceramic artist, his first solo exhibition here in Singapore in 2013. Another important responsibility I have as Gallery Director, is to help the organization foster professional relationships with an array of working partners, institutions and companies, particularly in London. This is to further our vision of promoting and developing an appreciation of South East Asian art globally. Furthermore, for my art projects outside the physical gallery space, I source works, document and value them for private collections. I also formulate and tailor-make art portfolios that are in sync with a client’s needs and their organization’s themes and goals. 2. What are some of the challenges you face in your day to day role as Chief Art Consultant and Gallery Director? Good art does not always translate financially into good earnings. 3. Where do you find inspiration for your work? When I relax, my mind is emptied of other thoughts. Very often I find my most restful moments are when I’m gardening, playing golf or taking an evening walk. Walking, in particular, is like a pause button for me; I can inhale or exhale and then inspiration and fresh ideas usually come along. 4. How do you go about choosing artists to collaborate with? I love to work with dedicated artists because it takes two to tango; I believe art is a relationship and this thing called, faith, helps foster long-term partnerships. 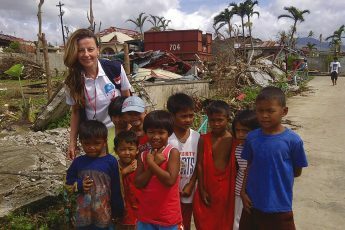 They need to be based on mutual understanding and respect, helps us run many extra miles through sunny and rainy days. Sadly, these days, I see so many gallerists and artists in search for instant success and fame; mostly weighing success in short financial terms. In my opinion, it is more like an everlasting marathon. 5. How long does it take to get an exhibition together from inception? It depends on the artist and the medium/s they use but usually between six to fifteen months. 6. What do you think is the key to good curation? Telling a good story. It is important that in every exhibition, we weave in a meaningful narrative with a hint of curiosity, some little surprises to tickle the senses and an unforgettable ending. This brings me back to our motto and the importance of discovery, development and delight as part of the curation process. 7. How do you engage your patrons in the art exhibitions and programs that you hold? If you look at our past art programmes, you can see that since 2010, OEA has been one of the first galleries to combine meaningful programmes; consisting of artist’s talks, exhibition tours, hands on workshops and music sessions to synchronize with our exhibitions. After discovery, development of one’s knowledge is a very important part of audience engagement. It is a nurturing process. One East Asia always tries to keep re-inventing itself so these days, having a one-on-one discussion with me has become an integral part of every exhibition. This makes it more meaningful, especially in the age of social media. Nurturing collectors, imparting knowledge and building trust are priceless facets of our relationships. We are not merely buying and selling art, more importantly OEA is in the business of selling dreams and experiences! Art is, after all, very personal. 8. How does One East Asia distinguish itself from the other galleries in Singapore? Arguably, One East Asia is the gallery with the strongest educational program in Singapore, led by an experienced team. Back in 2011, OEA worked together with, Camberwell College of the Arts, part of the University of the Arts London, to promote art conservation, through a series of lectures in Singapore. Our Chairman, Mr. Daniel Komala, is listed as one of the visiting lecturers at LaSalle College of the Arts. Furthermore, he was invited to join a panel discussion by the Sotheby’s Institute of Art, in London, to celebrate the 20th anniversary of Asian art and discuss the role London has as a global art hub. It was also live streamed to Sotheby’s Institute in New York. Viv Lawes, our UK consultant, is now among the key figures at the South East Asian department in Sotheby’s in London which gives us a great opportunity to further promote South East Asian art. 9. What are the challenges that museums and galleries are now facing in Singapore and South East Asia? Compared to our neighbours in the region, Singapore has a very short history and an even shorter one in terms of art, which has probably only existed since the late 19th century. As such, we lack a clear sense of identity. 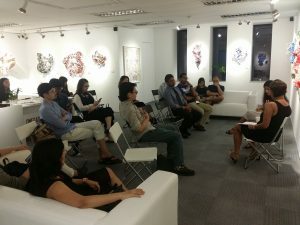 Despite its brief history, Singapore now plays an important role as the entry point and platform for art in the region. We must look at it as an integral part of the South East Asian art scene. It is a melting pot of different cultures, which poses an educational challenge for Singaporeans in general. However, Singapore is exceptionally blessed to have a lot of government support from the National Heritage Board, the National Arts Council and the Singapore International Foundation. They have injected funds into the sector to nurture both museum collections and local artists. This kind of support is next to zero in other countries in the region. Having said that, financial support for commercial galleries is often overlooked. They are the arteries of the industry and play an important part in our ecosystem. With ever increasing overheads and the rise of the cost of living in Singapore, there have been many gallery closures in recent years. Another challenge is to get the right team of experts or expertise in the arts field. The norm for those who did well is very often to find a position in the government sector, leaving very few to join the commercial sector i.e. galleries, which is frustrating. To make matters worse, I have also noticed a lack of commitment among new graduates resulting in a high turnover of support staff in galleries too. In short, they come and go without really learning the important stuff. Another difficulty can be finding what we call “unconditional” sponsors in the commercial sector. It is easier for a patron or organization to donate their support to a museum or a not for profit institution rather than a commercial gallery, due to the financial gain from tax breaks. Fortunately, today, One East Asia has earned the trust of a number of art patrons from both sides of the aisles: corporate and individual. We are proud to have the continuous support of General Hotel Management (GHM). They firmly believe in our mission to elevate the presence of South East Asian art internationally. 10. Apart from One East Asia, which is your favourite gallery space in Singapore and why? Hmm… apart from OEA, I don’t have a particular gallery space that I keep wandering back to. I enjoy viewing any exhibition that intrigues me and I love to support all my local artists and to check out what they are creating. Having said that, I always ‘wander’ back into one museum whenever I’m back in London. The National Gallery there is such a fascinating place to be. I always find and learn something new each time in both their permanent collections and curated exhibitions! 11. What advice would you give to someone who wanted to work in a gallery or museum? If you want a career in the arts industry, I truly believe you need to live, eat and breathe art every day! You must be vigorously passionate about art, then you won’t think of it as a job; but a very big playground that you get to experience and have fun in, even after the knocks and bruises. I have been in the arts industry now for just over two decades and I’m still loving it! 12. 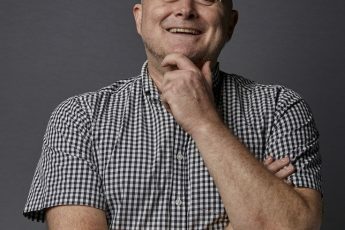 What is the best way to connect with One East Asia to keep up to date with your latest exhibitions and events? I understand that social media is probably a way of life these days so we communicate to our global audience on different platforms. However, it is always lovely to hear a voice and have that human touch. Don’t you agree? So we still enjoy telephone calls and receiving email enquiries too. Thank you for a very insightful look at into the gallery scene from a Gallery Director’s perspective Veronica. For more of our interviews please follow the link here. Creative Arts Social is a not for profit organization. We believe that art is for everyone. 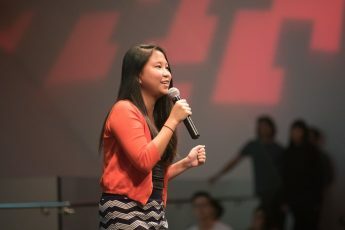 We all have the creative potential to understand, connect with and benefit from the arts. For more information about the work we do here.